I was truly surprised by how much I enjoyed this one. 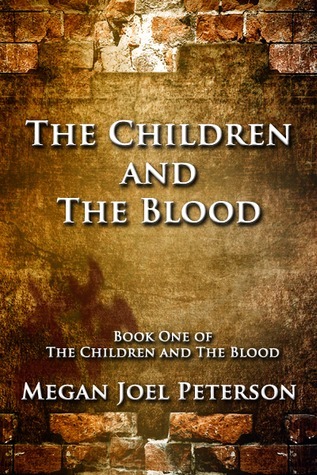 When I began The Children and the Blood, I was a bit skeptical as to if I would be able to get into the story, because you never really know with Self-Published authors. Sometimes they're a huge success and make you wonder why they weren't picked up by a publishing company. Other times, the majority of the time, their writing needs a bit more polishing before they can actually call their novel, a well-executed novel. However, Megan cleared up my lingering doubts immediately! Within the first few chapters, I was caught up in her writing, anxiously flipping pages to discover what happens next. If your main issue with Self-Published novels is the grammar and spelling, don't fret! Although I'm nowhere near a Grammar Wiz by any means, I do know enough to tell you that there aren't any glaringly obvious spelling errors, if there were any at all to begin with. 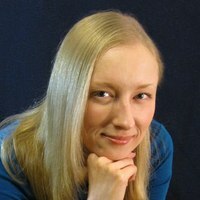 Megan's writing style reminded me of that of a much more experienced author. Heck, her writing style is a lot more refined than many published authors period. Her sentences flowed smoothly and she transitioned between viewpoints flawlessly, which is definitely no easy feat to accomplish. I never had any trouble discerning the perspective the story was being told from. In fact, the constant switch between characters was probably the reason why I wasn't able to set the book down. Most of the time, she ended her chapters with a sort of epic cliffhanger that left you grasping at straws. And of course, with my meager self-control with anything book related, I found myself dodging sleep to read just one more chapter. Now that brings us to the action. For me, action and premise usually share a direct relationship. Look at that! I brought math into this. Curse you, Algebra 2! Basically, the more interesting the premise, the more interesting the action. Makes everything seem all the more....involving, for lack of better term. The synopsis made it pretty obvious that magic was involved, that I knew was coming. However, what I didn't expect was the way Megan incorporated that magic into the story. I loved learning about the origins and history on her innovative twist on magic and how everything came to be in an otherwise contemporary, mundane world. She answered the questions that were forming in my mind, yet left just the right amount unanswered to give it that mysterious and cryptic edge. I don't want to give anything else away, but I will include that her version of magic is pretty darn cool, like control over fire, nothing lame like some stories I've come across. Since I read this novel about a month ago, the details on the characters are a bit fuzzy. The POVs were told by a police officer whose name alludes me at the moment, Ashley, and Cole. This resulted in a much more diverse read, since we were able to see the story through more than one perspective. Although the police officer's part did sort of aggravate me a bit. Let me explain...Since I was privy to Ashley and Cole's story, I was able to perceive truth from downright lie, and since the police officer had the misfortune of running in the wrong circles, his source of information tended to fall towards the lie side. I wanted to scream, "There innocent!" to him a countless number of times, but I understand why he made the decisions he made. There wasn't a strict switching back and forth rule between the characters, but Megan usually kept the POVs between Ashley and Cole, because they were the main focus in the story. Overall, I was surprised by how much I enjoyed my time with The Children and The Blood! In the beginning, I really wasn't sure what to expect since it was a Self-Published book. With those, it's usually just a toss up and all you can do is hope that it's one of the good ones. Thankfully, it was! I loved the unique premise Megan created in an otherwise overused genre and the twists she added to make it uniquely her own. The action was stimulating and I enjoyed reading about most of the characters, with one exception. :P I can't wait to read the sequel! This series is one that should not be missed, especially for those who are drawn towards magic and fantasy. I would have to agree with you! I never know how self-published book are going to plan out! But I'm glad that you enjoyed it! Great review! Glad you enjoyed it, Daphne! I think I,d really like Ashley and I like that there seem to be good and realistic character growth! Great review!